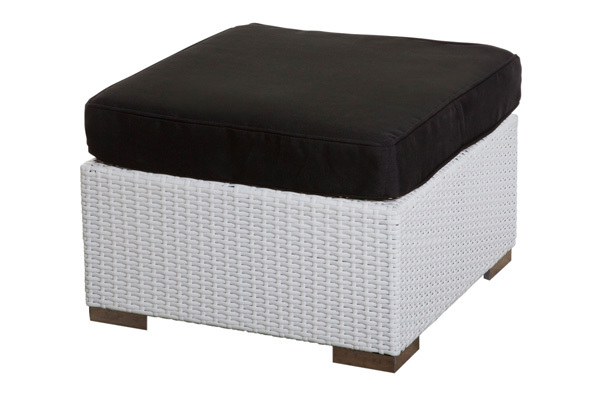 The Oasis Ottoman is the perfect piece for your outdoor event. The cushions are currently available in black & white, but we can customize in whatever color you choose! We also carry the Oasis Sofa, Oasis Coffee Table and Oasis Chair. It is one of the components of the Oasis Outdoor Lounge Grouping.